Long-term Saints' fan and graphic designer Joe O'Rourke has offered to come on board and give the club a helping hand with promotional match day posters for the remaining games of the season. Using bright colours for impact as well as highlighted images first team players, it is hoped that the new look posters will attract greater public attention to upcoming home games at Richmond Park. All Pat's fans can play their part promoting these matches by downloading the poster and displaying it in their workplace, office, school, college or round their local area or by forwarding the email advert to friends and contacts. 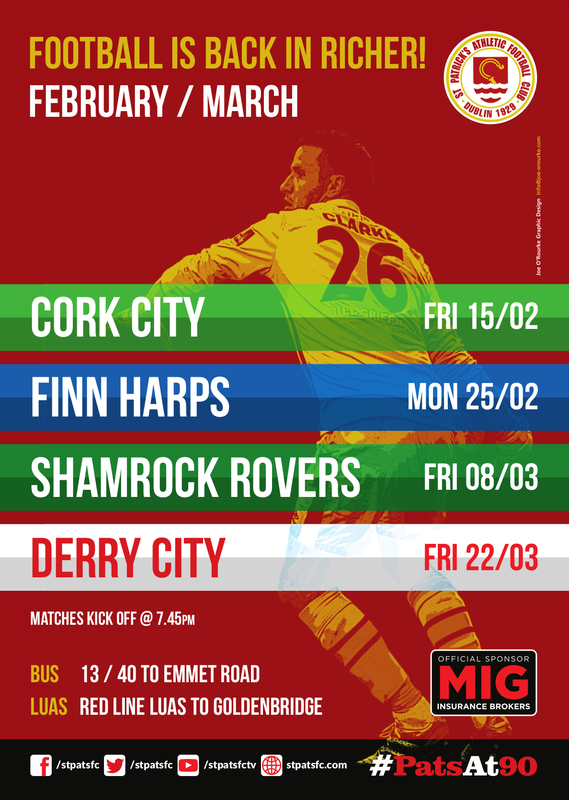 Click here to print off your Pat's match poster - support the Saints!